Is your computer becoming cluttered with various software programs so you can view different types of files, such as videos, PDF files, Office files, etc. We found a tool that can simplify your life and allow you to get rid of some of the extraneous software on your machine. Free Opener is a free tool that allows you to view, edit, and print many different types of files without having to download and install software you don’t really need. Free Opener currently supports over 70 different file formats. To install Free Opener, double-click the .exe file you downloaded. The Free Opener installation wizard displays. Click Accept to continue with the installation. The next several screens are offers of extra software options you can install. We not to install any of the extra software and clicked Decline on each screen. Read through each option and decide whether to Accept or Decline each one. After the various software options, a screen displays asking if you want to Install icon shortcuts on your desktop. These shortcuts are not for Free Opener. They are actually additional software options. We chose not to install these shortcuts by clicking Decline. Decide whether you want to Accept or Decline the installation of these shortcuts and click the appropriate button. 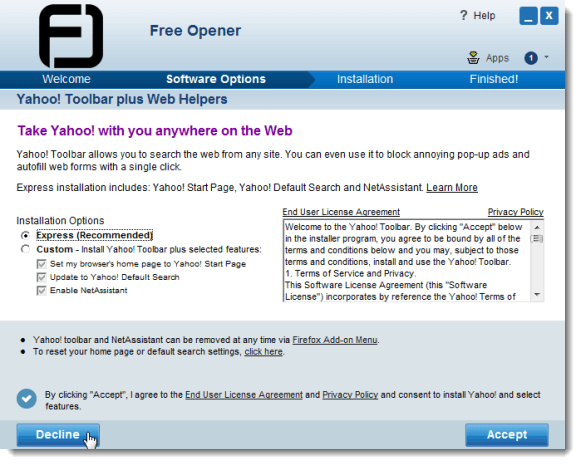 At this point, Free Opener is installed in the background, allowing you to perform other tasks on your computer, if desired. 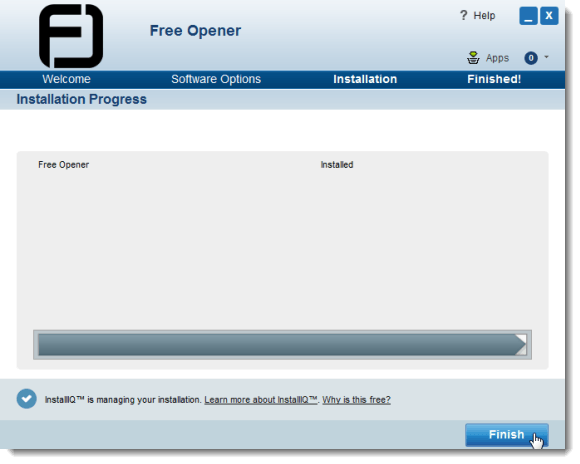 To view the progress of the installation, click the system tray up arrow and click on the Installing your software button in the popup system tray. 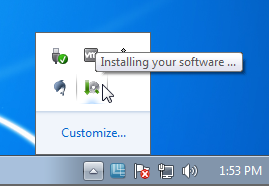 When the installation is done, click Finish to close the installation wizard. Because Free Opener does not add an icon for itself to the desktop, use the Start menu to open the program. If the following error dialog box displays, click OK to close it. This error does not seem to affect the usage of Free Opener, at least in our tests. Be cautious, however, as we did not try opening all the formats Free Opener allows. On the Free Opener main window, click Open, or select Open from the File menu. The Open dialog box displays. Navigate to the location of the file you want to open, select it, and click Open. You can also use Free Opener to open various types of code files, image files, audio and video files, Office files, icon files, web pages, and many more file formats. 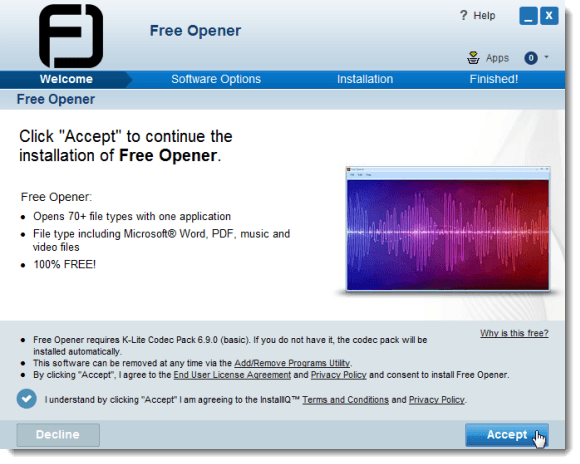 Free Opener is a handy addition to your computer software toolbox.